dracula1Arrive to Bucharest Coanda International Airport. 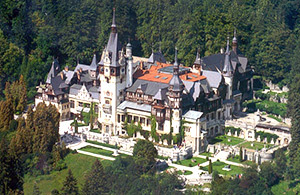 Meet and greet by your English speaking tour guide, then drive to Sinaia, in the Carpathian Mountains. Take an orientation tour of this charming mountain resort before the hotel check in. Dinner on own and evening at leisure. Hot and cold buffet breakfast at hotel. 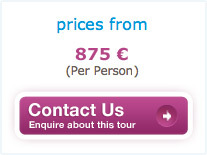 In the morning take a guided tour of the former royal summer residence, Peles Palace. 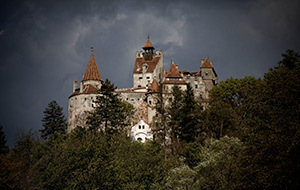 Then cross the mountains into Transylvania and visit Dracula Castle, in Bran Village. 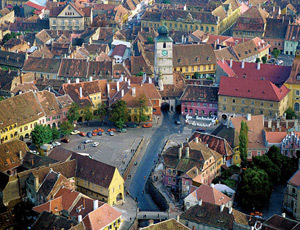 Later, a tour of the Old Brasov will reveal the intriguing architecture of this medieval citadel formerly a flourishing center of the Transylvanian Saxons, enemies of Vlad. Feel the frenzy of the central local farmers’ market. In the late afternoon drive to Sighisoara, considered to be the best preserved medieval town in Europe. 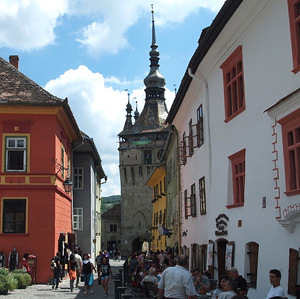 Spend the night inside the fortified town of medieval Sighisoara. Dinner on own. (Suggested is the Birthplace of Vlad Dracula. Hot and cold buffet breakfast at hotel. In the morning attend a special lecture on Vlad Dracula. Then, on a walking tour of Sighisoara visit the intriguing Clock Tower housing the town’s museum. Hear tales about punishments at the stake and even view the actual torture instruments on display. Next is the medieval weapon musem and the Torture Chamber. Get ready for the road. Remember Jonathan Harker diary notes on the way to Bistritza. You are expected for an (almost) ritual dinner at the “Golden Crown” Restaurant. Later the coach will bring all of you in the Borgo Pass to meet your unearthly host at the “Dracula Castle” Hotel. Before going to bed visit the Dungeon. After breakfast drive to Sibiu passing thru the picturesque Transylvanian countryside. If you like souvenirs, enjoy your shopping opportunity in the Chendu Village. After an afternoon walking city tour of Old Sibiu including the Great and the Lesser Squares, drive to Sibiel Village for a glimpse at the Museum of Glass Icons. Enjoy a home hosted traditional Transylvanian dinner in the village of Sibiel – this being a first hand intercultural exchange. On the top of the mountain, there is the Poenari Fortress, a former residence of Vlad Tepes (also called Dracula). After breakfast, visit the Luteran Cathedral where Mihnea the Bad, the son of Vlad was stabbed to death in 1510. Return to Wallachia. 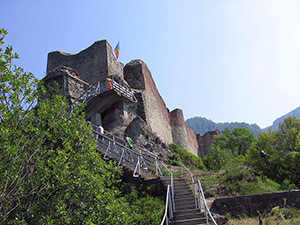 Prepare to climb the steps of Poienari Fortress, now in ruins. Here, the traitor landlords worked to their death. On your drive through Wallachia, make a stop at Cozia Monastery, the resting place of Mircea the Elder, Vlad’s grandfather. It features one of the most complete Last Judgment frescoes of the country. Wrap your day with a traditional Romanian Dinner with Folklore Show, by the Herastrau Lake in Bucharest. 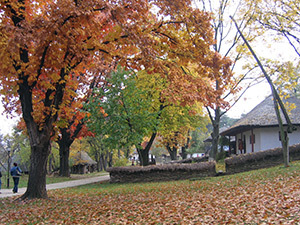 The Village Museum is one of the first ethnographic museums in the world and the second ethnographic museum placed outdoors in the world. 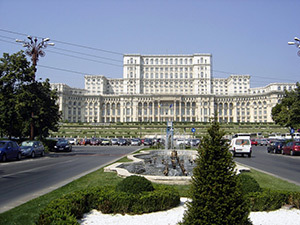 Palace of the Parliament – the largest building in the world after the Pentagon. Hot and cold buffet breakfast at hotel. The extensive tour of Bucharest will reveal to you the Old Princely Court, the Bucharest Palace (now in ruins) of Vlad, then stroll in the Village Museum, visit the Palace of the Parliament — the largest building in the world after the Pentagon. After a row boat ride to the mysterious island of Snagov Lake, bow to the alleged gravesite of Vlad the Impaler. Meet with the abbott of the monastery and hear the story he has for you. The empty tomb, here, is still an enigma… Evening at leisure in Bucharest. Hot and cold buffet breakfast at hotel (or boxed breakfast for the early departures). Time at leisure until the transfer to the international airport for your return flight. We cannot recommend Andrei Nicolau highly enough. He is a wonderful guide and also very intelligent. We had always traveled on our own but felt in Romania we would need a guide and was not sure how it would be for 15 days. Well, it was truly an outstanding experience. 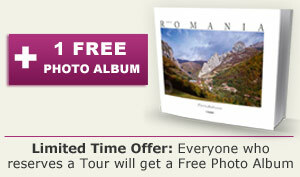 Andrei’s goal is to make his clients happy and to love Romania. He is extremely proud of his country and his knowledge of its history and also European history is extensive. My husband is a history buff and he and Andrei had wonderful discussions. He will alter your itinerary to meet your needs or if something interesting is happening to include that also. He is there to serve you. Andrei’s English is excellent. He is a truly unique person and we know you will love your trip to Romania.